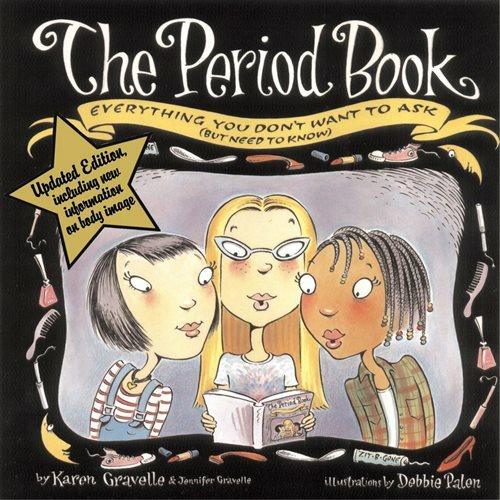 A reassuring book for every girl, providing clear and sensitive answers to common questions about periods, including a chapter on positive and healthy attitudes towards body image. Karen Gravelle and her 15-year-old niece, Jennifer Gravelle, have written a down-to-earth practical book that answers any questions you might have about your period, from what it is and what it feels like, to how to choose your form of protection, to how to talk to your parents about it. The Period Book will guide you through all the physical, emotional and social changes that come with your period, as well as related issues such as dealing with spots, mood swings and new expectations from friends and family. Debbie Palen's funny and sympathetic cartoons ease the confusion and exasperation you might feel and celebrate the new sense of power and maturity that your period can bring. Perfect for sharing, The Period Book is a trusty friend that can help you feel happy and confident about this new phase or your life.